LONDON – July 20, 2017 – Northrop Grumman Corporation (NYSE: NOC) highlighted NASA’s James Webb Space Telescope (JWST) programme to audiences around the U.K. in a series of special screenings of the documentary film Into the Unknown as part of the company’s science, technology, engineering and mathematics (STEM) education outreach efforts. This is the first time Into the Unknown has been screened in the U.K. 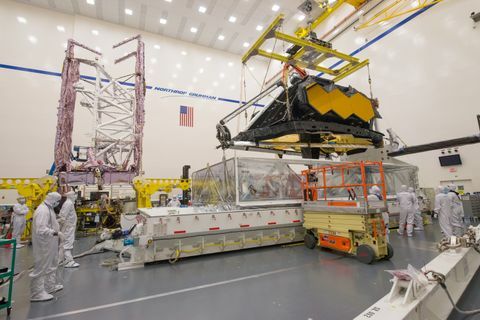 The film, developed by the Northrop Grumman Foundation as a resource for teachers, students and space enthusiasts, is the story of building NASA’s James Webb Space Telescope, the revolutionary scientific successor to the Hubble space telescope. 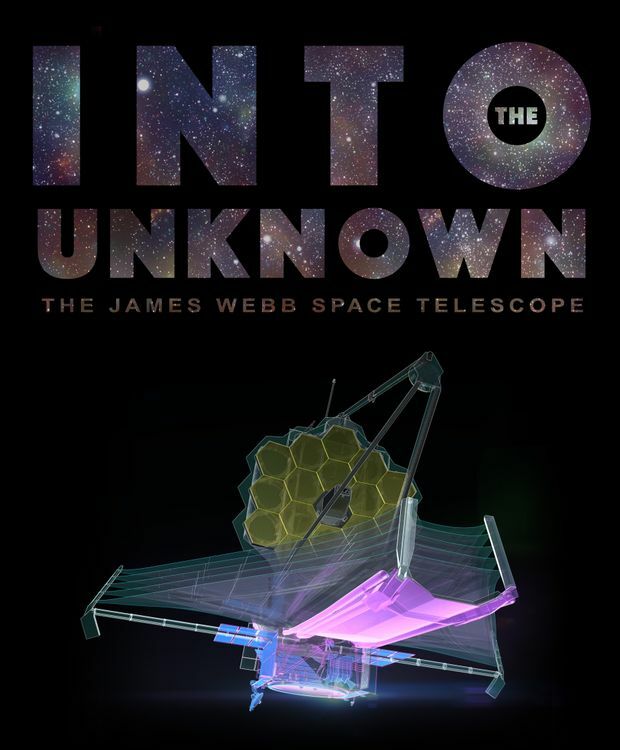 Featuring dynamic scenes of construction, conversations with scientists and engineers, and stunning visuals, Into the Unknown provides an in-depth look at one of the most daring scientific missions ever attempted. Students and teachers from selected schools viewed the film and spoke to scientists and engineers from NASA and Northrop Grumman. They shared how NASA’s James Webb Space Telescope will be the premier space observatory for astronomers worldwide, extending the discoveries of the Hubble telescope and pushing the boundaries of what is capable for spacecraft. The film was screened during the first week of July at a number of locations including the National Space Centre in Leicester, the National Astronomy Meeting at Hull University, the Rutherford Appleton Laboratory at Harwell, the RAF museum at Cosford and at schools in Cheltenham and Marlow. The screenings were recently mentioned in an article by the BBC. 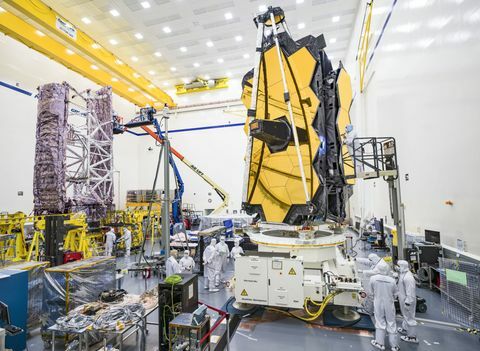 NASA’s James Webb Space Telescope is made up of four major components — the telescope, the integrated science instrument module, the spacecraft, and the sunshield. 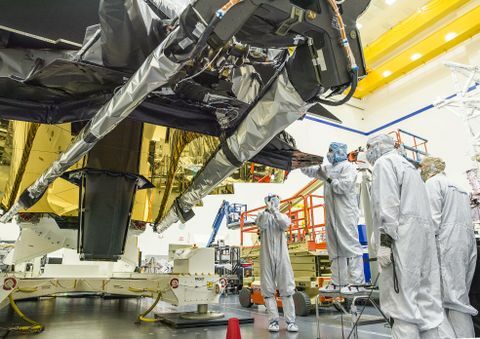 Northrop Grumman is under contract to NASA’s Goddard Space Flight Center in Greenbelt, Maryland, for the design and development of the telescope’s optics, sunshield, and spacecraft. The Mid-Infrared Instrument (MIRI), one of the key science instruments onboard, was designed, built and tested in the U.K.
Due for launch in late 2018, NASA’s James Webb Space Telescope is the most powerful infrared space telescope ever built and will observe the most distant objects in the universe, provide images of the first galaxies formed, and study unexplored planets around distant stars. The James Webb Space Telescope is a joint project of NASA, ESA and the Canadian Space Agency (CSA). Northrop Grumman and the Northrop Grumman Foundation are committed to expanding and enhancing the pipeline of diverse, talented STEM students globally. They provide funding for sustainable STEM programmes that span from pre-school to high school and through to university levels, with a major emphasis on middle school students and teachers. In 2016, Northrop Grumman and the Northrop Grumman Foundation continued outreach efforts by contributing more than £23 million globally to support diverse STEM-related activities and groups such as: in the U.S., the Air Force Association CyberPatriot cyber security competition and the Northrop Grumman Foundation Teachers’ Academy (in partnership with the National Science Teachers Association); in the U.K., the CyberCenturion cyber defence competition and the IMechE’s Unmanned Aircraft Systems Challenge; Cyber Arabia; and the REC Foundation VEX Robotics competition which includes Australia, Japan, South Korea and the U.S.